Japan’s Self-Defense Forces don’t often invite attention to themselves. During a colorful ceremony last week, however, the institution’s naval arm grabbed headlines that made references to World War 2. The reason was the launch of the Izumo—designated as 22DDH after its class and the traditional Japanese calendar—which is the Maritime Self-Defense Force’s (MSDF) newest vessel. Even outspoken deputy Prime Minister Taro Aso was present at Yokohama to mark the completion of the Izumo’s hull. The event on Tuesday, August 6, was a launching ceremony. Such occasions, where the Izumo’s bow was festooned with decoration tape and onlookers were showered with confetti, precedes a ship’s commissioning, when it formally joins the naval fleet. Displacing at 19,500 tons and resembling an aircraft carrier in appearance and layout, the Izumo is scheduled to enter service by 2015. It carries 14 SH-70 helicopters—Mitsubishi’s license made UH-60 Seahawks—and a crew of more than 500. Its speed is believed to be 30 knots. The $1.2 billion Izumo is the heaviest and largest among the MSDF’s “helicopter destroyers.” It is unclear if the Izumo is to be considered a new class of warship or is a continuation of the impressive Hyuga-class. The first Hyuga was commissioned in 2009. Its sister ship Ise followed two years later. After four years of construction at IHI Marine United’s sprawling Yokohama shipyard, the Izumo is now ready to be outfitted for deployment. Builder IHI Marine United is a placeholder for Japan Marine United Corporation (JMU), a conglomerate formed on January 1 this year after the merger of IHI Marine United and the Universal Ship Building Corporation. 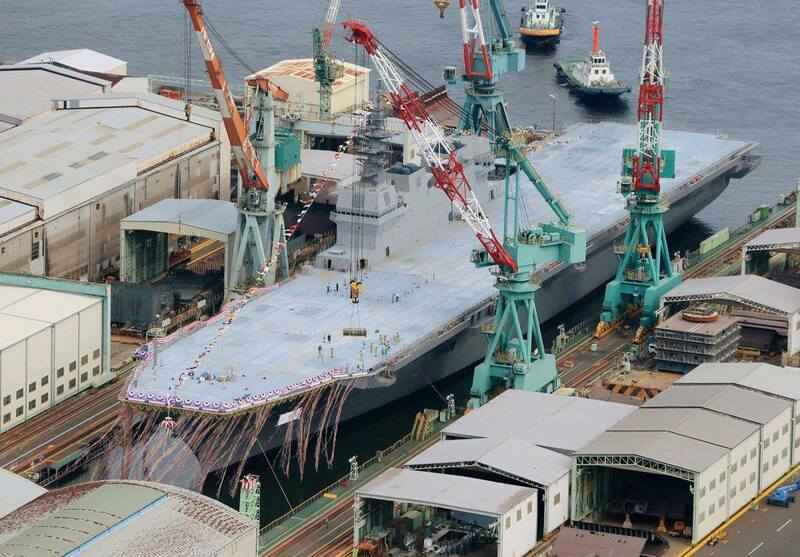 Such joinings are common at a time when Japan’s shipbuilders are facing very stiff competition from South Korea. The vaunted “helicopter destroyers” originated in the 1970s with pairs of the Haruna and Shirane-class vessels. These were traditional modern destroyers with larger rear flight decks to carry multiple ASW helicopters for detecting Soviet submarines. The MSDF’s Shirane-class vessels served until the 1990s. Their successors are the Hyuga’s, which bear a closer resemblance to carriers. The Izumo, whose armaments will include anti-aircraft missiles, a close-in weapons system (CIWS), and six torpedo launchers, is the most daring ship developed by the Japanese government in the post-war era. 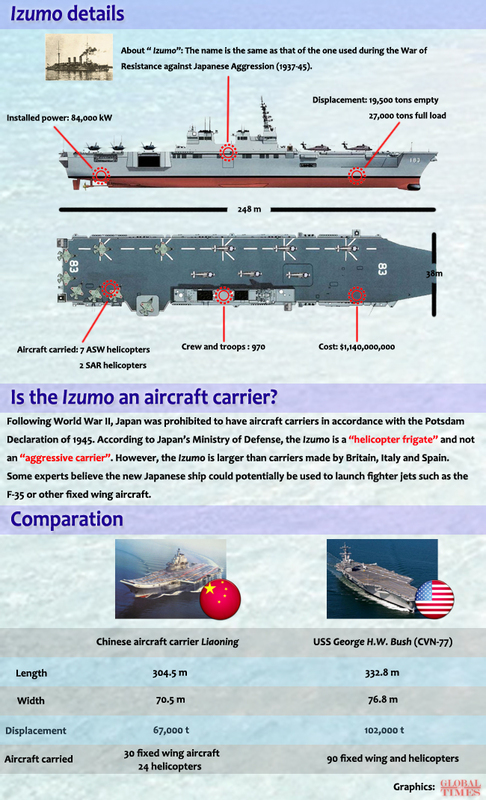 There was widespread speculation amid the initial flurry of news reports that the Izumo could soon function as an aircraft carried to boost the MSDF, especially if it supports VTOL F-35B’s in the near future. This remains debatable. Due to several months of much publicized incursions between China’s PLAN and unified coast guard with their Japanese counterparts, many believe Japan’s new government under the Prime Minister Shinzo Abe, whose LDP won by a landslide during the recent July 21 elections, is laying down policies for a stronger armed forces. Credible evidence points to this aside from the fact that Abe, whose mandate rests on improving Japan’s “anemic economy,” is a so-called nationalist. Additionally, in January, the government approved revisions for the National Defense Program Guidelines for FY 2011 and beyond. “It has become imperative to strengthen seamless deterrence and response capabilities according to changing circumstances through improvement of the Self-Defense Forces’ (SDF) mobile deployment capabilities and in preparation for more intense conflicts. But due to Article 9 of Japan’s post-war constitution, the country is prohibited from militarizing and since 1952, can only support a “token” national defense force alongside the police. 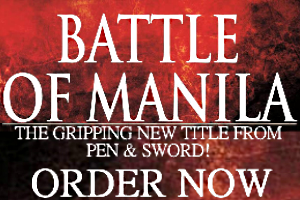 For proof, while the MSDF itself has more than a hundred vessels, less than 50 are suited for combat. It also has 16 submarines, while China’s PLAN have 60+. In terms of numbers, the Self-Defense Forces current armor and fighter aircraft are miniscule compared to the PLA. Yet the inescapable fact remains that Japan and China are facing off and competing with each other, hence an arms race is certain.